Call it boho, granny-chic, or refreshingly 70s, crochet continues to weave its way onto the runways and "hot trend" lists this season. Oscar de la Renta, Vivienne Tam, Diane von Furstenberg, and Vera Wang (to name a few) featured it in their recent spring collections. Crochet looks were also spotted at Saint Louis Fashion Week. Intricate and super-feminine, crochet can go from dainty to daring depending upon the color and silhouette. 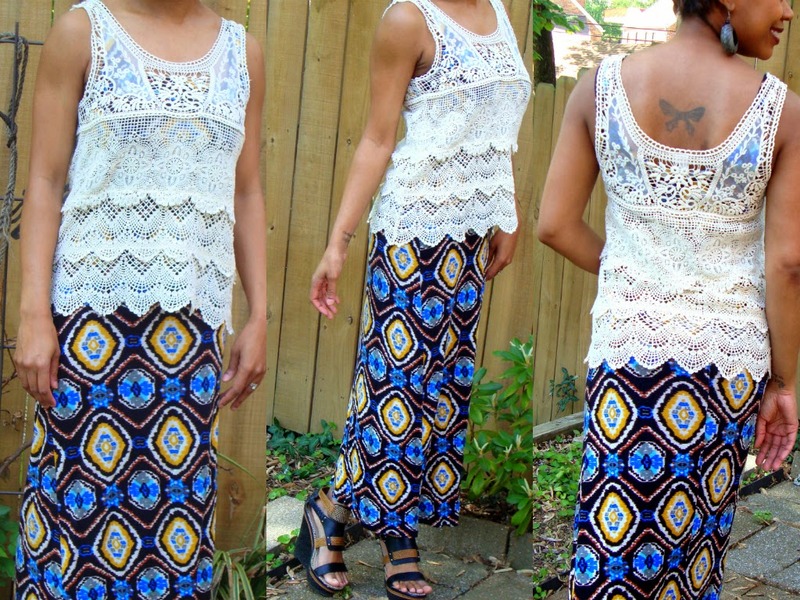 I paired my crochet tank with a tribal skirt for a bohemian rhapsody of cute. (Super style secret: the maxiskirt is actually a dress!) 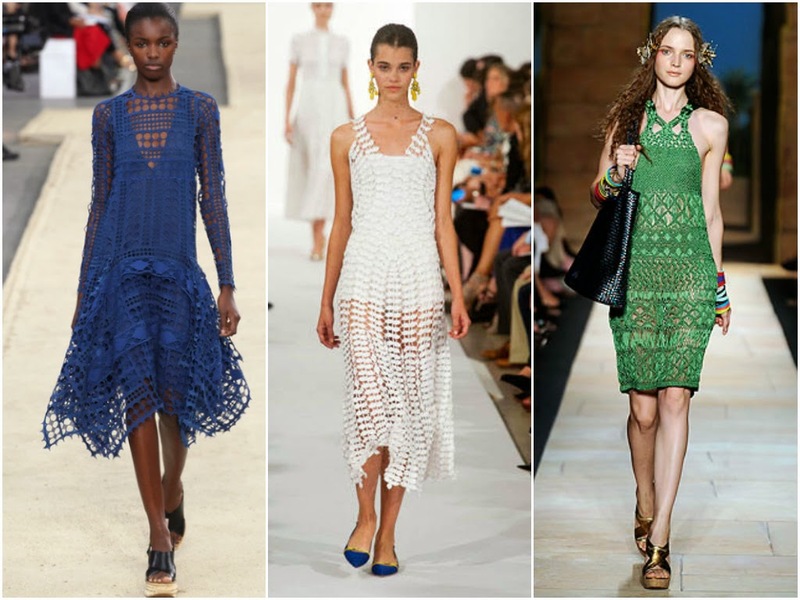 How will you wear crochet this spring? Top: Rung Boutique; Skirt/dress: Urban Outfitters; Shoes: Mia from Macy's; Earrings: somewhere in Mexico?